There were tissues on the tables. I took this as a sign that this wasn’t going to be the usual “kiss-kiss, here’s your swag” blogger event. And it wasn’t. Rather, it was a peek into the rampant bullying happening in our middle schools. 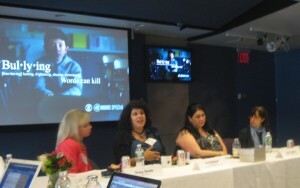 CBS invited some 20 bloggers, including me, to their New York City headquarters on Monday to learn about the upcoming 48 HOURS special that will air Friday night, September 16th at 8 p.m. ET/PT, called Bullying: Words Can Kill. What they showed me is what I already knew: middle schoolers can be rotten to each other, especially online. 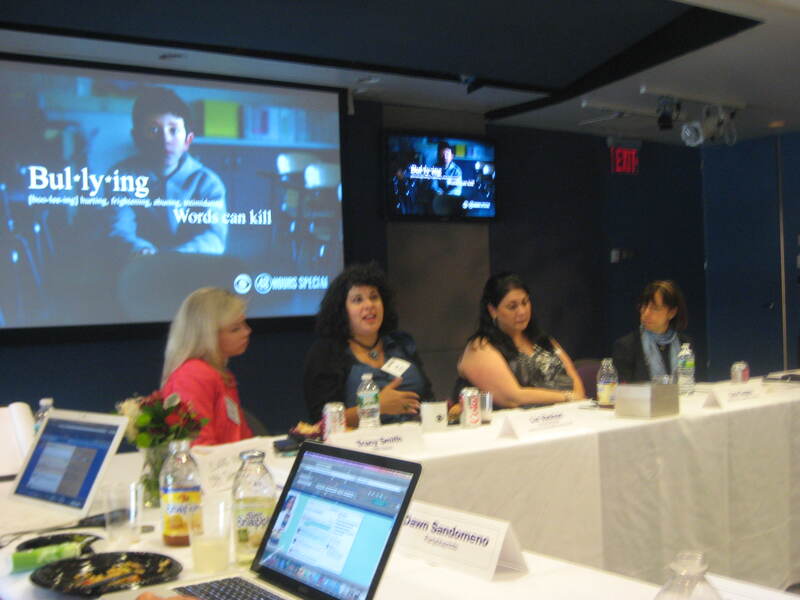 But this special has something special: A solution of sorts, that worked in one Rhode Island school. Plus, it shows us bullying from the inside — through the eyes of the kids at one middle school that, over several months, opened its doors to CBS’s cameras and reporter Tracy Smith. According to the special, 25% of kids are bullied. But, as one woman interviewed for the piece said, it isn’t like the bullying we suffered as kids back in the day, because there is no break from it. When kids today get home from school, the bullying continues by text, on Facebook and elsewhere online. Parents might say, “Well, turn them off.” But these kids can’t turn it off when they so desperately want to know what people are saying about them.